Popular with the Shoreditch crowd on the weekends, The Old Truman Brewery houses more than 200 small, creative businesses, a bar and several areas for hire. It encompasses 19 buildings, linked by a series of alleyways and courtyards, but the main area - the Boiler House - is easily identified by its 49-metre chimneystack with 'Truman' written up the side. The work spaces are typically occupied by fashion designers, artists and DJs who work alongside graphic designers, architects and recording and photographic studios. Home to exhibitions including the controversial and shocking Body Worlds exhibition (the first time around), it's also a good place to enjoy a beer (and a barbeque in the summer months). Head here on a Sunday for their famed UP Market. For after-hours entertainment try the Brewery's own Corbet Place Bar & Lounge or the nearby Vibe Bar. What are the best dining options near The Old Truman Brewery London? The Old Truman Brewery gyms, sporting activities, health & beauty and fitness. The best pubs near London The Old Truman Brewery. 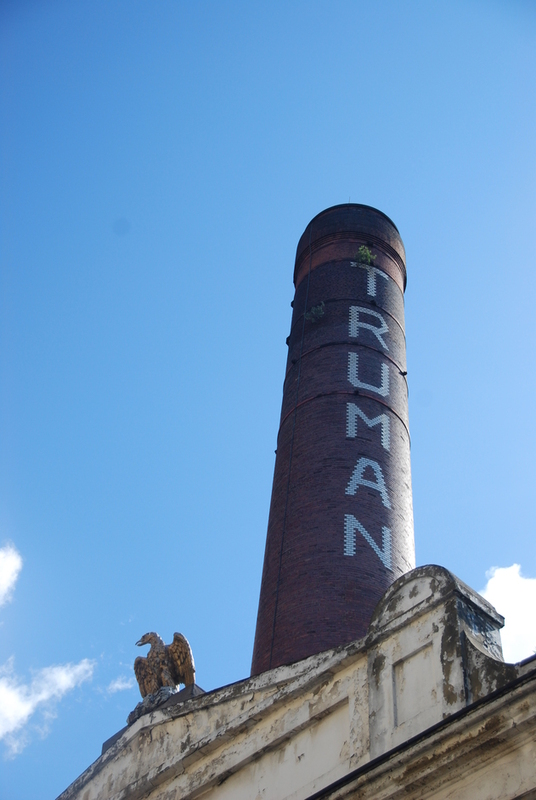 The Old Truman Brewery clubs, bars, cabaret nights, casinos and interesting nightlife. Where to have your meeting, conference, exhibition, private dining or training course near The Old Truman Brewery. Sloane Brother's Frozen Yoghurt Co.
From cheap budget places to stay to luxury 5 star suites see our deals for The Old Truman Brewery hotels, including 196 Bishopsgate Serviced Apartments from 85% off.